Tom Jones is a hugely knowledgeable and credible Scotch whisky expert who travels the world in his role as the Johnnie Walker® Global Ambassador, providing intimate knowledge of Johnnie Walker® to whisky connoisseurs and helping them discover more about the magic and mystery of the world’s number one selling blended Scotch whisky brand. · As Global Brand Ambassador Tom Jones is the face and voice of Johnnie Walker® around the world. He participates in media interviews and events, hosts mentored tastings and master classes and inspires whisky lovers around the world about the amazing history and heritage of the Johnnie Walker® brand. 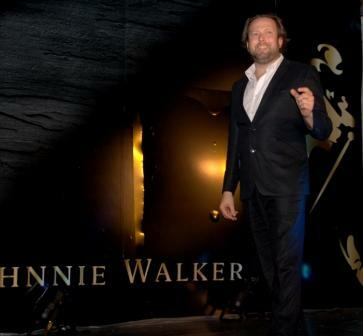 · Tom held the audience spellbound when he revealed the amazing 200 years old history of Johnnie Walker. Founded by 14 year old John Walker to its period of growth driven by his grandson Alexander Walker. Tom mentored the guests on how best to enjoy Johnnie Walker, their different blends and savours. · According to the Mr. Devlin Hainsworth MD, Guinness Nigeria Plc/Diageo Brands Nigeria “You know when you have made it in life...scotch is the drink category of choice and when you have really made it Johnnie Walker is the scotch whisky of choice”. · The guests truly had a great time and experience as Tom was as engaging as ever. 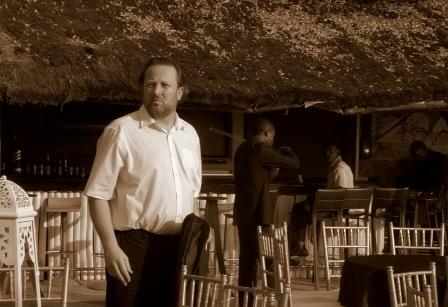 Tom hopes to be back in Nigeria soon to give more fascinating Johnnie Walker experiences. To find out more about the Johnnie Walker® Annual Society Event go to the Johnnie Walker® Nigeria Facebook page at www.facebook.com/johnniewalkernigeria remember to‘Like’ the page. I don tire to meet these oyibo people. The Mike Epps wey i sell naija give never pay. I dey check western union and twitter, the mugu no wan drop. Abeg dey give us better naija gist. Meanwhile wetin I dey hear say Madam Waziri claim say im retire as AIG meanwhile na as commissioner im retire? I never still recover from the shock. The fraud was perpetrated for 3 years while she headed the anti-corruption unit? Unbelievable. Is this Linda's new man? Just dey guess o. If so, not bad o. Gbam! Shave the beard to look 'funky' now. Sounds like your kind of man, Linda. I suspect say na Oyinbo you dey hold out on since all these days! (So you no like dudu?) Oya lets go dere! lol!